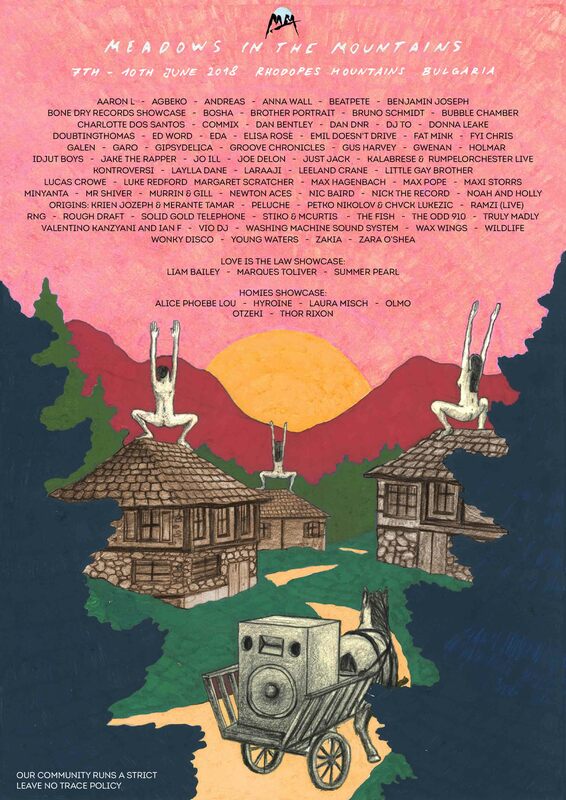 Meadows In The Mountains has announced the final list of acts that will be joining them in the unique setting of Polkovnik Serafimovo, Bulgaria 7th to 10th June. This year sees a main stage take-over by Little Gay Brother, the LGBTQ+ rave that started life at Secret Garden Party. Playing alongside their performers will be DJ Mag's 'One To Watch for 2018' and a favourite from their Omeara London parties, Wax Wings. Slovenian techno veteran Valentino Kanzyani is co-founder of the Next Wave parties in Ibiza and a FUSE and Cadenza regular. He will be returning to the festival for a special B2B alongside Ian F following an epic sunrise set last year. South London's finest FYI Chris are known for their dusty house grooves on labels like Church Recordings and Bradley Zero's Rhythm Section. Expect a sophisticated selection of records from this duo, their excellent Balamii radio show is a fine example of their crate digging expertise. Also set to perform is New York multi-instrumentalist Marques Toliverl, who will be playing what is sure to be an unforgettable solo-violin sunrise set. Now in it's 8th year, it's set to be their biggest festival yet with over 2,500 revellers heading to the Rhodope Mountains to party. Tickets are still available via the festival's website.